Brand new to the coffeehouse scene is Newberry Bros., located in none other than - you guessed it - Newport. I knew I was in for a treat with all these puns. Arriving at my table was a huge cup bowl of hot chocolate overflowing with whipped cream. As foam balanced on the rim, it was clear that this was real whipped cream, a rare commodity in a world of Cool Whip. 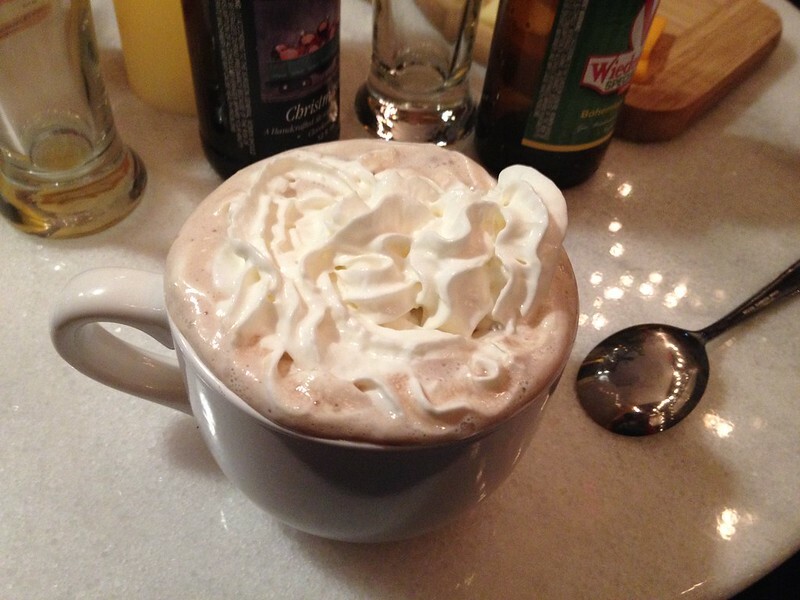 Thick and rich, the piles of sweet whipped cream complimented the milk chocolate beverage beneath. If you're in a rush, you can certainly get a takeaway cup of cocoa instead, but with Newberry Bros. quiet view of the Mansion Hill District of Northern Kentucky, why not sip and stay a while?